About the works of Rapol Žilionis, who works at the VU Life Science Center, we are not hearing for the first time. Recently R Žilionis contributed to the discovery of a new type of respiratory cell, and this time, in an article published in Immunti, the researcher and his colleagues presented the results of work in a highly relevant field of lung cancer research. Reviews of this article have also appeared on global science promotion sites and Harvard University Reviev. The world, R. Zilionis and his colleagues, were not interested in the study. This paper deals with the study of immune cells and the use of immunotherapy for the treatment of cancer. "The article describes the work that has been done for more than three years, in cooperation with dr. Allon Kleino et al. Labs Mikael Pittett. At the same time, we have combined the competencies in cancer immunology and individual sequences of RNA cells to better understand the differences between human and mouse immune cells that infiltrate lung tumors, "says R. Zilionis on the latest study. According to the researcher, mice were used in this study because they are the most important model of an organism for the research and treatment of many human illnesses. "Comparative work, such as this, will enable the wider scientific community to concentrate efforts on those aspects of mouse biology that apply to people," he said. 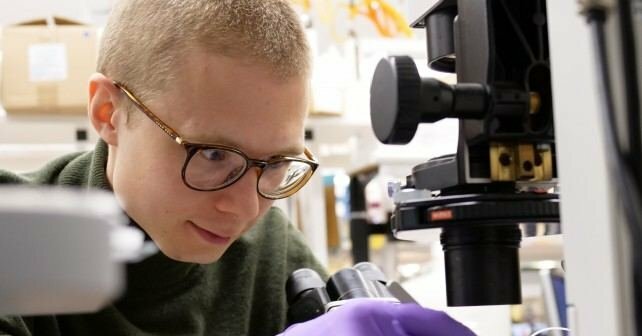 An employee of the VU Life Science Center was pleased that another Lithuanian scientist – dr. Linas Mazutis – together with dr. Allon Klein has developed a technology for researching high-performance cells. "There can be a question why we, the scientists, use the mouse. The answer is simple – human and mouse organisms have a lot of similarities, and mouse research is suitable for economic reasons and well-developed molecular tools for manipulating these animals. Due to genetic similarity, mice suffer from human diseases such as cancer, diabetes, heart disease and obesity. Today, most scientists study the mouse against rodents, not rodents, as a small human model, "says R. Zilionis. However, the scientist notes that in spite of these similarities, the human body is unique and that all studies performed in mice do not provide enough new knowledge to help treat people with ailments. "However, a human being is not a mouse, so only a few discoveries are successfully adapted to humans later. Although there are many similarities between human and mice, there are differences. In the case of one specific disease – lung cancer – we began to systematically identify the similarities and differences. This has become the starting point for further research to expand the scope of immunotherapy, "explains the researcher. Description of the research carried out by R. Žilionis, a scientist from the University Center for Natural Sciences in Vilnius, is located at this address. A review of the article published at Harvard University was published here.